You are currently browsing the tag archive for the ‘nadia tarzi’ tag. In honor of the Afghan Delegation from Afghanistan’s Ghazni province visit to San Francisco, The Asia Foundation held a Luncheon and Panel Discussion on June 8th that aimed to offer the delegation insights into the efforts of Bay Area based non-profit organizations addressing issues in Afghanistan. APAA’s Executive Director Nadia Tarzi was one of four panelists presenting their work to improve Afghanistan’s educational, cultural and social environment. The Delegation of eleven included, among others, the governor and Mayor of Ghazni Province, members of Afghanistan’s Parliament and representatives of the Ministry of Information and Culture. In 2007 Ghazni (with a population of 1.3 million) was acknowledged as the “Capital of Islamic Culture” for 2013. It is situated in eastern Afghanistan, along the strategic route that links Kabul and Khandar – a key province in Afghanistan’s past, present and future. As Ghazni Province plays today an important role in the economic, agricultural, and political realms of contemporary Afghanistan, efforts are in place on an international level to raise awareness of and improve relationships with this region. APAA’s presentation demonstrated a different angle on “aid” work in Afghanistan. Helping to preserve the identity of an embattled nation through cultural preservation and archeological and historical education is perhaps not the first thing that comes to mind when pondering how best to support a society which is attempting to rebuild itself. Yet, it is a building stone in international development efforts, as dignity, pride and an awareness of one’s own past are important aspects of a life worth living. Together with Afghan Friends Network, Afghans4Tomorrow and Roots of Peace, organizations who work to improve the lives of women and children, empower educators, develop agricultural and health programs and de-mine the country, APAA plays an important role in reviving a culture and society that finds itself in a constant state of conflict. One couldn’t help thinking that there was a room filled with wonderful people, Afghans and non-Afghans, dedicated and passionate, skilled and driven to help people who don’t have the means to help themselves. But then, there are those, who prefer the tools of corruption, greed and power – and they make it so difficult for the rest of us. One woman’s battle for Afghanistan’s culture – Can the value of cultural heritage be conveyed? Nadia Tarzi, of Swedish-Afghan descent, is a facilitator between cultures. She advocates for a country that is at risk of losing its identity. When you have a chance to watch Nadia Tarzi giving lectures, workshops or museum tours you will quickly notice the passion in her eyes and gestures for the cultural history of Afghanistan. Stories of her father’s excavations in Bamiyan and elsewhere breathe life into the images presented in slideshows or objects in exhibition tours she gives. You start feeling immersed into the cultural setting Nadia plays out for you. How did Nadia’s life become so dominated by the cultural history of this country? Like Afghanistan, Nadia is a melting pot of a diverse set of cultures. 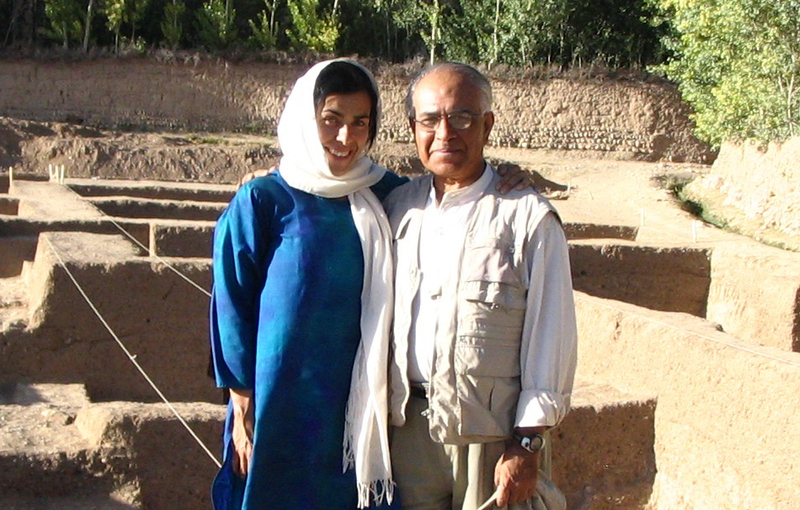 Her father, Professor Zemaryalai Tarzi, is a well-known Afghan archaeologist; her mother is from Sweden. Raised in France, she presently makes her home in California and invests all her time and effort into the preservation of Afghanistan’s archaeological heritage. Devoted to his country’s history, Professor Tarzi taught his daughter what he taught his people in a country he had to flee when the Soviets marched in: An appreciation for a region’s thousands of years of history, and the multi-layered, interwoven cultural and artistic richness of an area which was once part of the storied Silk Road. In the mid ’90’s, while spending a summer with her father in France, Nadia witnessed his profound sadness when he found out about the destruction of a niche representing an aquatic scene of Buddha and other statues surrounding it. The niche was part of the buddhist monastic ensemble of Hadda near Jellallabad. She understood her father’s feelings when looking up archival images of the intact site, which had been turned into a pile of rubble, something the photos illustrated quite brutally. For Nadia that afternoon in France marked a point of no return. She decided to do whatever she could to advocate for the preservation of a culture and its archaeological heritage of a country that, sadly, is better known for its warlords, political instability and seemingly never-ending conflicts. Nadia wants to open her audience’s mind to the fact that more than 60.000 Afghan cultural treasures have been destroyed and about 10.000 more objects are unaccounted for. According to Nadia Tarzi, “What Afghanistan has produced is not just the heritage of this country, but it is in fact the shared cultural heritage of the world”. In 2001 Nadia Tarzi founded the Association for the Protection of Afghan Archaeology for the purpose of creating widespread awareness and appreciation of the country’s archaeological treasures and to help the people of Afghanistan to reconnect with their own cultural roots. Dividing her time between raising two young daughters and growing an infant non-profit, she gradually established APAA as a leading interlocutor for a country whose cultural history is too often overlooked. First of all, I wish to extend my warm greetings to Professor Zemaryalai Tarzi and the distinguished members of the Honorary Host Committee—whom I deeply regret being unable to join today, as I have been away from the United States on an extended visit overseas. But please allow me to pay tribute to the continuing lifetime achievements of Professor Tarzi in service to Afghanistan. For the past fifty years, the Afghan history has witnessed the tireless efforts of Professor Tarzi to help conserve and preserve our heritage, while making scientific contributions of immense importance to the world heritage and history. The Government of the Islamic Republic of Afghanistan recognizes with pride and deep gratitude the perseverance with which Professor Tarzi has pursued his archaeological excavations in Afghanistan for several decades now. While past communist and extremist regimes in Afghanistan actively undermined, barred or destroyed work on preservation of the Afghan heritage, Professor Tarzi courageously spoke out against such acts and advocated for global attention to protecting the heritage we proudly share with the rest of the world. 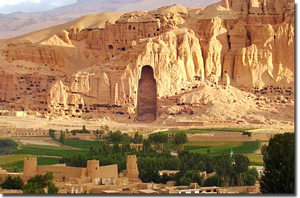 Thanks to Professor Tarzi’s hard efforts since 2002, the Afghan people are optimistic about the restoration of the great statutes of Buddha, which the Taliban brutally destroyed in 2001. We are thankful to the Professor for helping raise resources and attention to train a new generation of Afghans to build upon the invaluable archaeological findings of DAFA. We are equally grateful to the Government of France and UNESCO for continuing to support Professor Tarzi in helping discover and protect the archaeological heritage of Afghanistan. I also wish to express my gratitude to Ms. Nadia Tarzi for her leadership in the Association for the Protection of Afghan Archeology, as well as to the Board of Directors of the Association, whom I am delighted to join in celebrating Professor Tarzi’s fifty years of archaeological services to Afghanistan and the world at large. Once again, I wish Professor Tarzi the best and wholeheartedly congratulate him on his continued accomplishments. View the Embassy of Afghanistan web site.